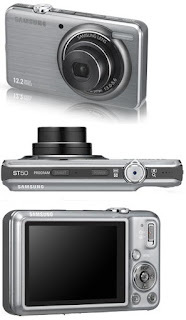 Samsung's ST50 digital camera is a super-slim 12 megapixel compact camera. The design is very attractive and stylish with a quality finnish. It has a LCD screen which is of high standard and is the best LCD screen we've seen so far on digital cameras of similar size.